Improved analytics techniques could be the key to saving your business from fraud. For example, a bank can lower the cost of anti-money laundering (AML) compliance programs through analytics. 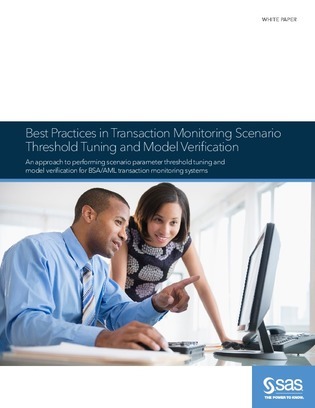 Explore this white paper to uncover how a process of periodic model verification, threshold tuning, and validation, can optimize compliance standards.